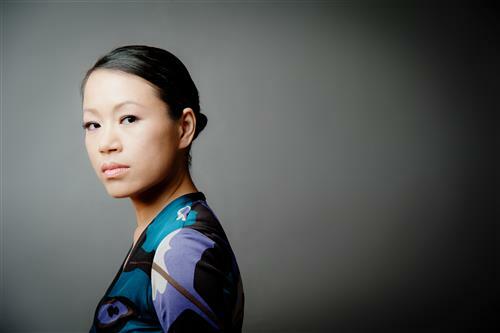 The ever-evolving Aiyun Huang enjoys a musical life as soloist, chamber musician, researcher, teacher and producer. She was the First Prize and the Audience Award winner at the Geneva International Music Competition in 2002. Her past highlights include performances at the Victoria Hall in Geneva, Weill Recital Hall in New York, Los Angeles Philharmonic Orchestra’s Green Umbrella Series, LACMA Concert Series, Holland Festival, Agora Festival in Paris, Banff Arts Festival, 7éme Biennale d’Art Contemporaine de Lyon, Vancouver New Music Festival, CBC Radio, La Jolla Summerfest, Scotia Festival, Cool Drummings, Montreal New Music Festival, Centro Nacional Di Las Artes in Mexico City, and National Concert Hall and Theater in Taipei. She is a founding member of Canadian trio Toca Loca with pianists Gregory Oh and Simon Docking. Since 2011, she has been performing with Musicians from soundSCAPE with soprano Tony Arnolds and pianist Thomas Rosenkranz. Her recent highlights include concerto appearances with the Taipei Symphony Orchestra and L’Orchestre Suisse Romande. Aiyun has commissioned and championed over 100 works in the last two decades working with composers internationally. In May 2013 she co-hosted Random Walk: Music of Xenakis and Beyond with Canada’s leading research institutions: Perimeter Institute, the Fields Institute for Research in Mathematical Sciences, and Institute for Quantum Computing. In 2013, she produced Music from soundSCAPE on New Focus Recording and upcoming release include disc on Naxos Record featuring Canadian Composer Chris Harman’s percussion and keyboard music produced by Aiyun. Born in Kaohsiung, a southern city of Taiwan, Aiyun holds a Doctor of Musical Arts and Master of Arts degree from the University of California, San Diego and a Bachelor of Arts degree from the University of Toronto. Her teachers included Steven Schick, Russell Hartenberger, Gaston Sylvestre, Robin Engelman, Bob Becker, Francois Bedel and Jean-Pierre Drouet. Between 2004 and 2006, she was a Faculty Fellow at UCSD. She currently holds the position of Associate Professor in Percussion at the Schulich School of Music at McGill University in Montreal, Canada. She regularly teaches and performs in summer festivals including the National Youth Orchestra of Canada, soundSCAPE Festival in the Italian Alps and Roots and Rhizomes at the Banff Centre for the Arts.